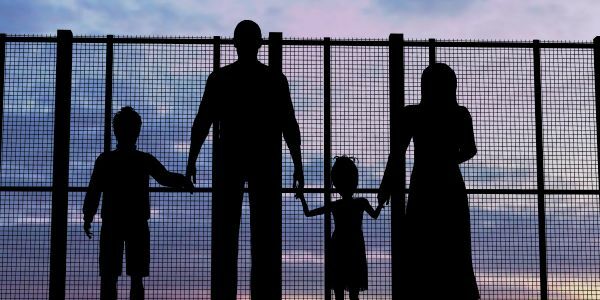 petition: Reunite Families Separated at the Border Now! After much public outrage, President Trump signed an executive order today reversing his administration's cruel and inhumane policy of separating families at the southern border. Unfortunately, it isn't enough. The damage is already done. According to reports, more than 2,300 children have already been separated from their parents since Trump first enacted his cruel "zero tolerance" policy. Even worse, the policy didn't include a plan to reunite children with their parents. With migrant children being sent to shelters thousands of miles away from where they were detained and some mothers and fathers having already been deported, who knows when, or even if, these families will ever be reunited. Sign now to demand the Trump administration reunite the families now! Doctors and researchers have found that separating children from parents creates toxic stress, damaging kids' physical and mental health for years to come. It is essentially physical torture. Even if Trump's executive order ends family separation, irreparable damage has already been done because of this administration's monstrous policy. Furthermore, Trump still remains staunchly committed to the "zero tolerance" policy that started the problem in the first place. "Zero tolerance" means that everyone who crosses the border without documentation — even asylum-seekers like the ones facing detention and separation now — are to be locked up like criminals. That means children will still be jailed in overcrowded detention centers, just no longer separated from their families. Executive order or not, this crisis isn't over until we don't have babies in jails and families are reunited. Trump cannot just sign an executive order and wash his hands of the cruelty he has inflicted upon families. Sign now and demand the Trump administration reunite the families now!